Due to works on Hengrove Way, the bus stop at Hengrove Leisure Park (travelling towards Bristol Airport) is currently suspended, and therefore, the A4 Air Decker is unable to serve the stop. It is anticipated that this will be for 4 weeks. A temporary bus stop can be found between Bamfield and Hengrove Leisure Park which is clearly marked. This entry was posted in Uncategorized on October 18, 2018 by Victoria. 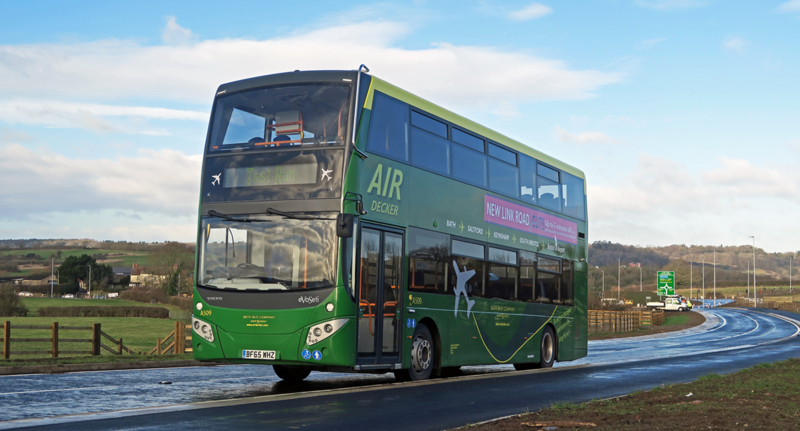 Due to a running race this coming Sunday (7th October) there will be a short 10-15 minute hard road closure at 10:00am in Keynsham that will affect the Air Decker Service. There will be a delay of approximately 15 minutes expected for the 09:30 departure from Bath to Bristol Airports. Other departures may be slightly affected. This entry was posted in Uncategorized on October 5, 2018 by Connor Flavell.